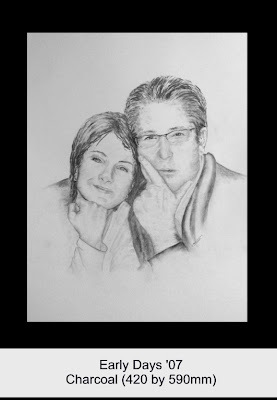 This is a drawing of my son and his fiance The photograph on which it was based was taken in the early days of their relationship! This is one of my favourites and I will be getting it framed soon for hanging in my studio. 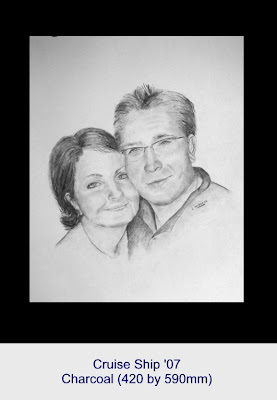 This drawing is from a photograph taken by I don't know who on a fancy cruise liner! Holy shitballs mother! I didn't say you could post pictures of me!?!? !